Thanks Cable Chick for the speedy response to my order for an optical digital audio cable. It seems that no sooner had I placed the order than it arrived promptly the following day. No fuss, no bother! Your service was very much appreciated and I know where to go in future for my cable requirements. 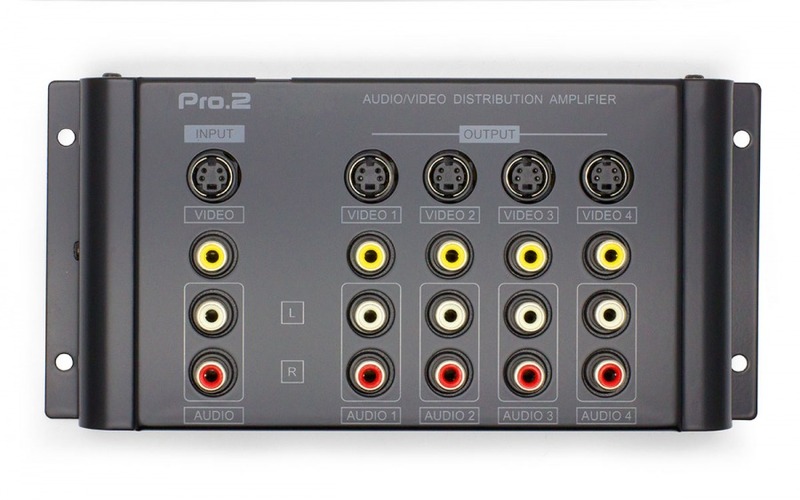 The 4-Way Composite and S-Video Splitter + Audio you've been looking for! Have you ever walked into a store or club to see multiple large-screen televisions displaying the same content simultaneously? Well, the magic behind that visual feast is none other than a 4 Way Componsite Video and Audio Distribution Amplifier. It's a bulletproof and foolproof design that's fully powered, and can split one set of inputs across up to four displays at once over cable runs out to about 20 metres from the amplifier. Any composite or S-Video source device is up for grabs, too; VCR, DVD, Blu-ray, set-top boxes, Foxtel boxes and consoles are all fair game; and can be evenly distributed across two, three or four displays at once. The rugged, basic construction includes screw holes for wall mounting and no delicate switches - what gets plugged in receives a signal, pure and simple. Even the 24k gold plated connectors are robust, as is the steel chassis and superb 12 Month Cable Chick warranty. It's perfect for installers, shopfitters, entertainers and home theatre enthusiasts alike! Answer: "The opposite of this device is our Component Switch: http://www.cablechick.com.au/cables/4-way-component-av-selector-switch.html - it allows multiple source devices to be connected to a single receiver/display. Another option is to convert one of the component sources to HDMI: http://www.cablechick.com.au/cables/component-video-2rca-stereo-audio-to-hdmi-converter.html"
Answer: "The unit itself requires 12V / 0.5A to operate, but the included mains adapter expects 110-240v input." Answer: "It supports up to 576i maximum." Can this work for audio only? I need to take a single audio out and split in to three amplifiers. Answer: "Yes, this unit can distribute audio, video or both. Whatever is connected will be duplicated. This unit only has a single set of inputs, so it can only accept one stereo input. You could, however, used the CVBS video socket to distribute another RCA signal, such as mono audio or digital coaxial."